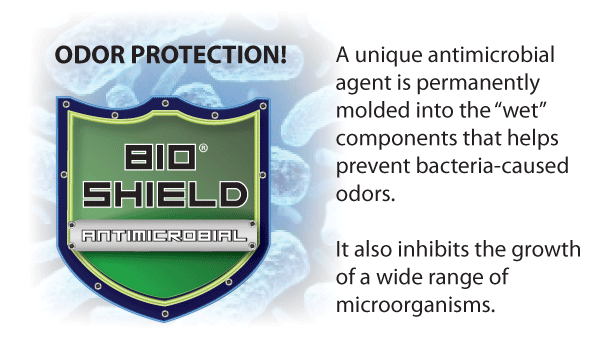 Antimicrobial provides protection against bacteria-caused odors. 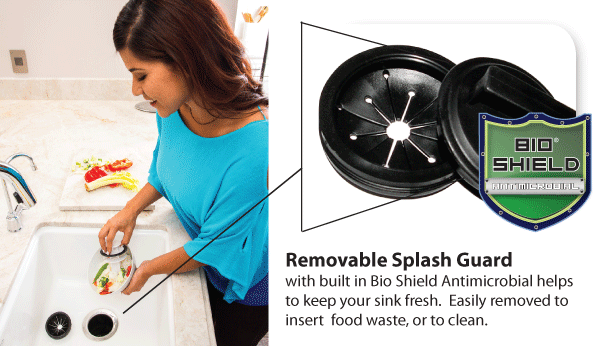 Joneca Brands are the only disposer with Bio Shield, a unique antimicrobial agent, permanently molded into the “wet” components of the disposer to eliminate bacteria-caused odors. It also inhibits the growth of a wide range of micro organisms. 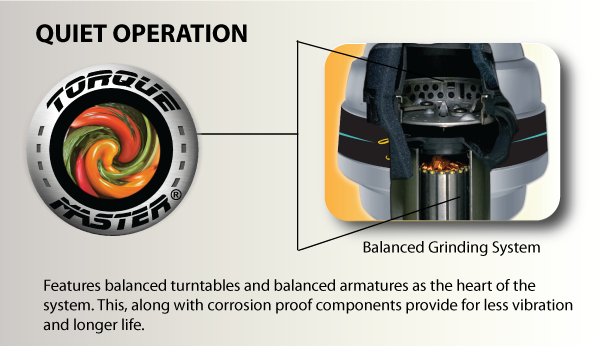 balanced grinding system which features balanced turntables and balanced armatures as the heart of the system. 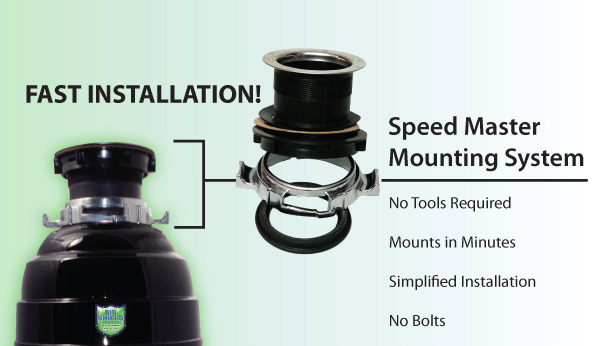 This, along with corrosion proof components provide for less vibration and longer life. 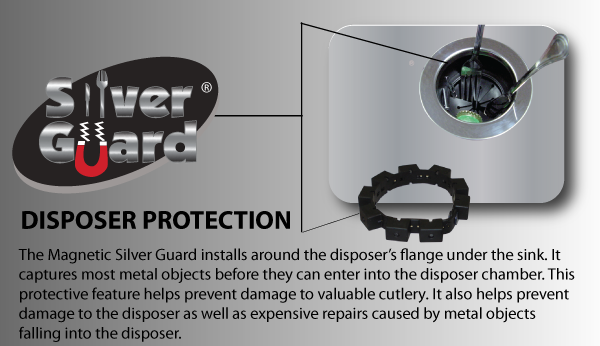 disposer protection. 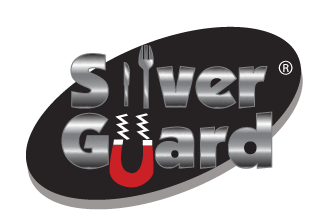 The magnetic Silver Guard captures most metal objects before they enter into the disposer chamber. This protective feature helps prevent damage to valuable cutlery. 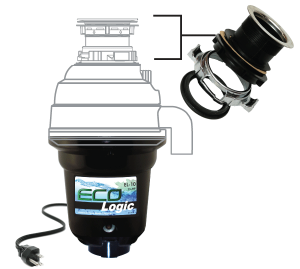 It also helps prevent damage to the disposer as well as expensive repairs caused by metal objects falling into the disposer. makes it easy to clean and replace.